Cheyenne Mauzy-Wicken, pictured with her children Landon (left), Amara (middle) and Mason (right), became a dedicated health care advocate when Landon was diagnosed with a rare blood disorder. Before 2014, when parts of the so-called Affordable Care Act took effect, insurance companies could deny coverage to customers who already had been diagnosed with anything from diabetes to depression. Almost a third of people in Missouri have pre-existing conditions, and GOP Senate candidate Josh Hawley has said he’s looking out for them, especially because his oldest son has an unspecified chronic joint disease. That is, a pre-existing condition. “We know what that’s like,” Hawley said in a television ad. 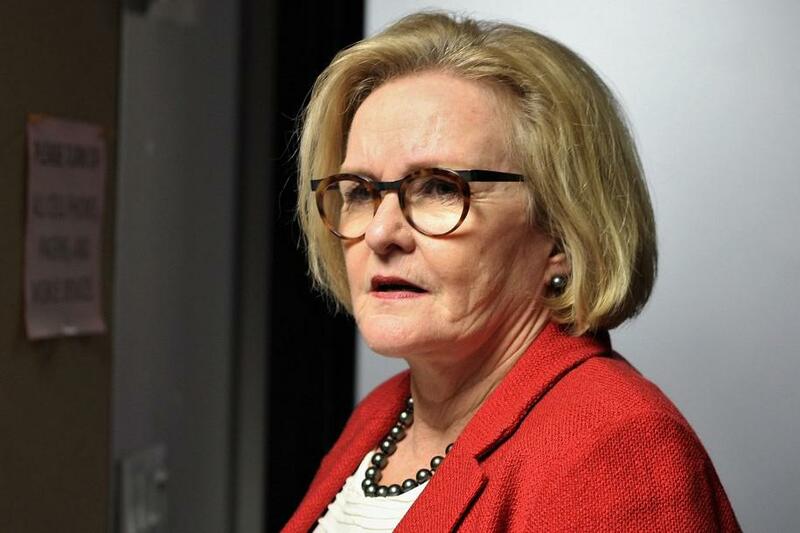 But Democrats and incumbent Sen. Claire McCaskill have called out Hawley for what they say is double dealing. That’s because as attorney general, Hawley brought the state into a lawsuit with 19 other Republican-led states that’s aiming to get the federal health care law thrown out on the grounds that it’s unconstitutional. 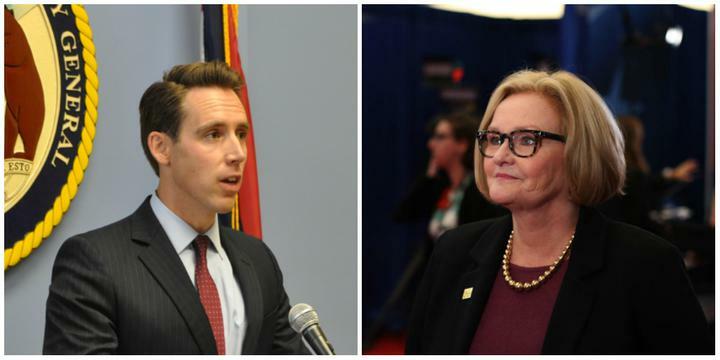 U.S. Sen. Claire McCaskill called Josh Hawley's health care proposal a "silly press release proposal" that was "designed by a political consultant." The lawsuit, McCaskill said Monday on KCUR’s Up To Date, could undermine health care across the board. “If that lawsuit is successful, it leaves a whole lot of people, and potentially millions of Missourians in a position that they can no longer access coverage just like it was before the ACA,” she said. Hawley is campaigning behind a plan that he pledges will force insurers to cover pre-existing conditions, though aside from an op-ed in the Springfield News-Leader in August, he hasn’t provided many details. Attorney General Josh Hawley (left) speaks with a woman who attended his rally in Riverside, Missouri, about three weeks before the election. He talked about pre-existing conditions during his speech. To make this financially workable, the federal government would reimburse insurance companies for each person’s medical costs that go over $10,000 a year. Hawley doesn’t say how this would be paid for. The first step would be to get rid of what Republicans call Obamacare. Doing so would also get rid of the federal subsidies that more than 188,000 Missouri residents get a year (about $1.3 billion total) to help pay for insurance. Without the subsidies, many people would be eligible to buy insurance, but unable to afford care. The health care law also set up lots of basic rules for all insurance plans. If ended, insurers wouldn’t be required to pay for things like maternity care, drug rehab or checkups that currently are free. It could also allow insurance companies to bring back lifetime limits, meaning an insurer could stop paying for the year after medical costs exceeded a certain threshold. Despite the health law’s apparent benefits, skepticism abounds in Missouri — a state that overwhelmingly went for President Donald Trump in the 2016 election. But polls show the vast majority of voters, including most Republicans, support pre-existing condition coverage. Cheyenne Mauzy-Wicken said she’s mostly been an independent voter for most of her life. But since her 10-year-son son Landon was diagnosed two years ago with aplastic anemia, a rare, potentially deadly blood disorder, health care concerns have pushed her toward voting Democrat. She acknowledged there are plenty of problems with the federal health care law, but she’s baffled by the idea of ditching it. “I would never dream that the answer there is taking away some of the most popular things that the Affordable Care Act did, and saying, ‘Let’s start over,’” Mauzy-Wicken said.